I thought I would share a few cards I have made and recieved in Stampin Up! exchanges as a part of introducing Karing Card Club for bloggers in Australia. I have been asked to help co-host the Karing Card Club for Australia. 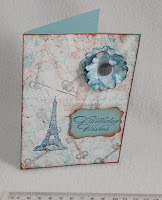 Karing Card club was created by Kendra at Kreative Creationz. The Karing Card Club is meant to encourage one another through the exchange of a card via snail mail. 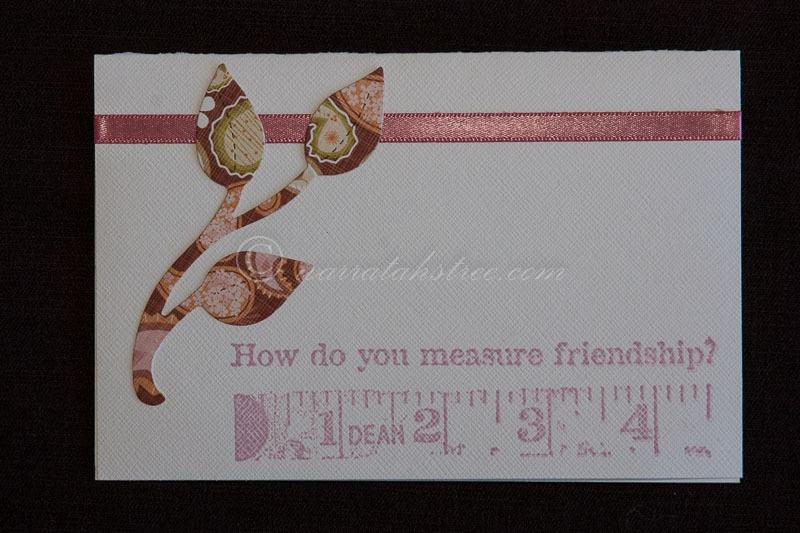 What a great way to encourage one another by sending a card of encouragement to a fellow blogger. If your a non-blogger and would like to be a part all you need is a Flickr or Instagram account. Each month Karing Card Club creates a sign-up form to fill out. From this form we will pair up people to send either store bought cards or hand made cards to one another. Each month there is a monthly theme. The card or greeting should follow the theme for the month. One of my recent creations. The BG is all hand stamped! Go to the sign up form here to sign up for the July Card Exchange. You need to sign up NO LATER than 19th July to participate in the July Card Exchange. Look for an email by 20 July. This email will have all the details of your Karing Card exchange partner. Purchase your card and mail it as soon as possible, so that we can all share our card and theme on the Karing Card Club blog. 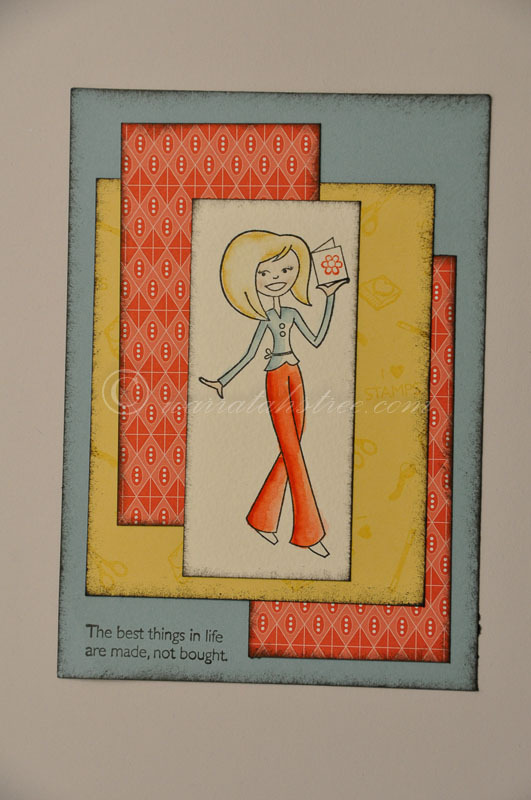 On the First Saturday of each month write about what the theme means to you and you show off the cards you send and the cards you received at the linky party. You can find the linky party and more information on the Karing Card Club. I hope you can join us. Lovely cards! My favorite is the one with the eiffel tower! Thanks mama. 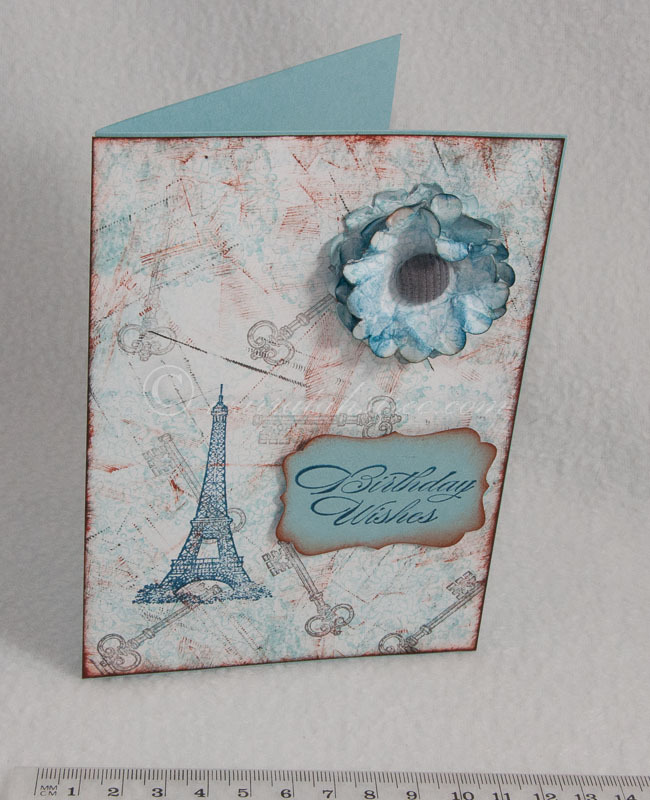 The eiffel tower is one of many like that I hand stamp and ink the backgrounds my self...i.e. it is a one of a kind background. Hey there! Here from the Blog Hop! Just wanted to let you know I'm following you via TwitterI also Iiked your Facebook page :o) Hope you'll get a chance to check me out! Thanks for stopping by. Love your page. I liked and followed them all. These are lovely. I like the one with the eiffel tower too! Thanks for linking up with Pin It! Tuesday!